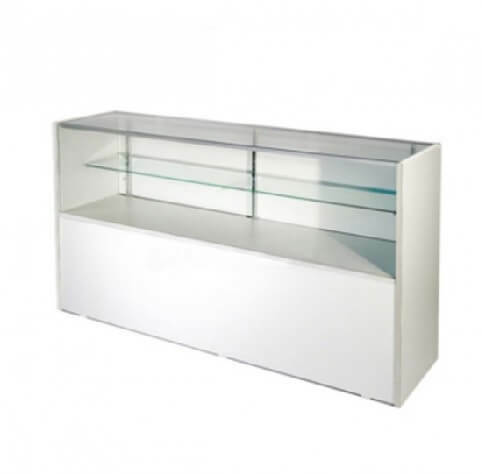 The White Half Vision Display has an 18-inch front viewing area that gives patrons an ample look at your products. 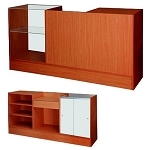 This jewelry counter comes with an adjustable shelf to allow you to store a variety of merchandise. Extra storage in the bottom rear of this floor fixture allows for non-essentials like pricing supplies and materials to be hidden out of sight from passerby's. 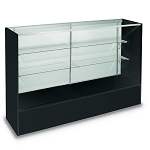 If white is not your preference of color, we also have this same half vision display case in maple and black. Ordering is easy just click and add to your online shopping cart now.